Reach new heights with this Heli Electric Reach Truck and master narrow aisles inside warehouses. 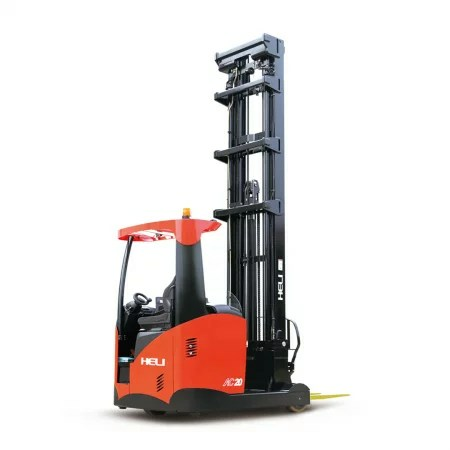 This tall reach truck gives you a maximum lift height of 12.5 meters. It also comes with a convenient joy stick control, electric power steering with 180° / 360° mode and PU wheels with electromagnetic braking on all wheels. Its innovative technology which also give you an energy back-up, up to 30 minutes! Hala Equipment Trading is the sole distributor of Heli Forklifts, Warehousing Equipment, Wheel Loaders, Attachments and Tow Tractors in the UAE. 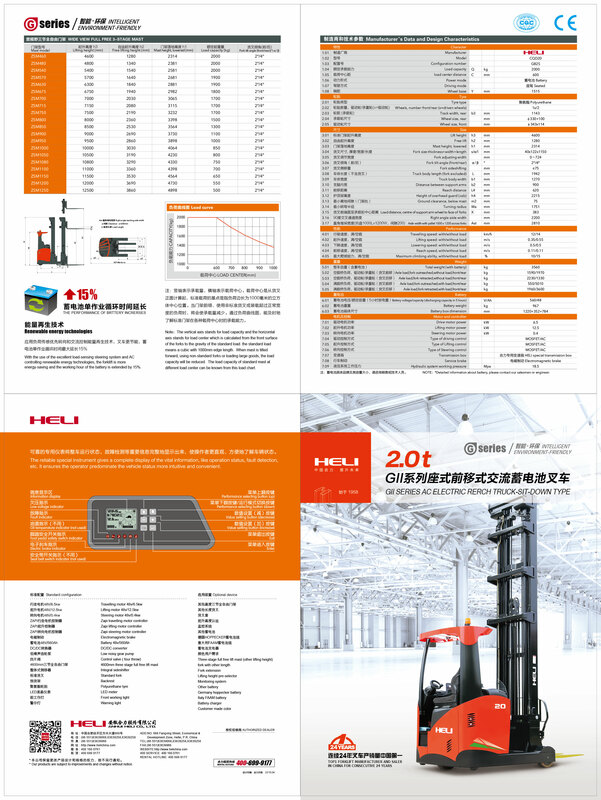 Heli is the No.1 in China and among the world’s ten largest forklift manufacturers. 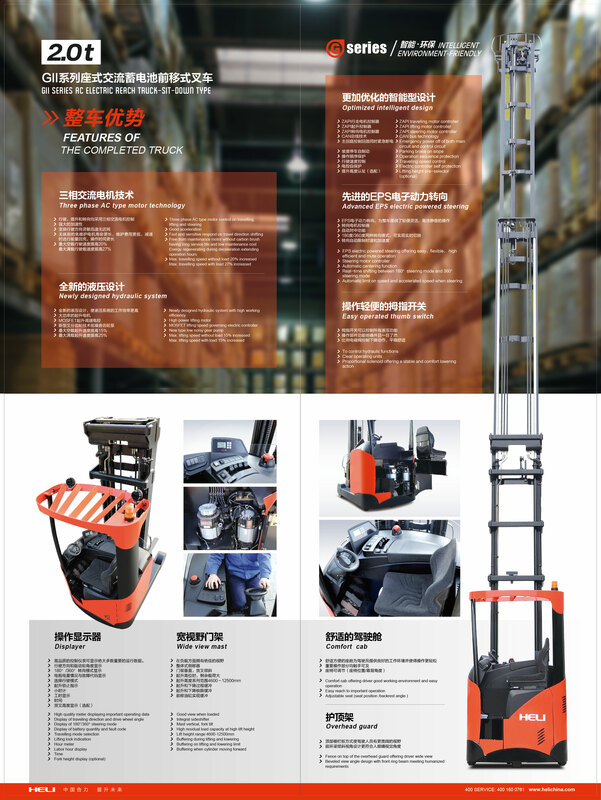 It is the only Forklift Manufacturing company that is listed in the Shanghai Stock Exchange. Our after sales service extends across all Emirates of the UAE including Abu Dhabi, Dubai, Sharjah, Ras Al Khaimah, Fujairah, Umm Al Quwain and Ajman.